Please click on the links to the left for additional information regarding the exciting opportunities for the Great Godfrey Maze! Due to the maze being an outdoor attraction, we occasionally must close due to inclement weather. Updates are posted on our FACEBOOK page (Village of Godfrey Parks and Recreation Department and Great Godfrey Maze) and available on our cancellation hotline (618) 466-1483, Ext. 3. 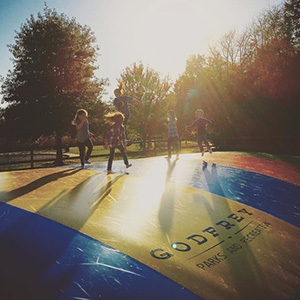 While the Great Godfrey Maze is our largest attraction, it is not the only one we offer. As always, we have the COW TRAIN–-for $2 per ride, the CORN CRIB– free for ages 10 and under, the HAY WAGON–-for $2 per ride, the JUMPING PILLOW–for $2 per ride, and our NEWEST ATTRACTION – ZIP LINE — for $4 per person. We will also be offering unlimited Zip Line rides for $20 per day! We now have discounted combo pricing. It includes unlimited maze entrance for the day, and one ticket each to the cow train, hay wagon, zip line, and jumping pillow. The cost is $12.00 for adults and $10.00 for children ages 6-11. The COW TRAIN is a fun ride for kids (and some adults too!) around the park. The ride lasts approximately 5-7 minutes and costs $2.00 per rider. 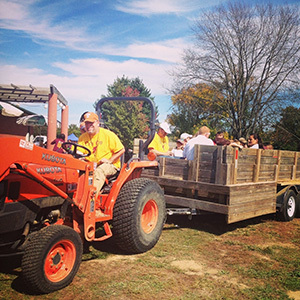 The HAY WAGON ride is a fun adventure for the entire family. The cost is $2 per person to ride. 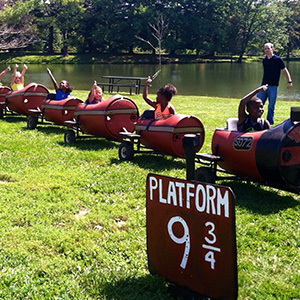 The wagon ride ventures through Glazebrook Park on a 12-15 minute ride. 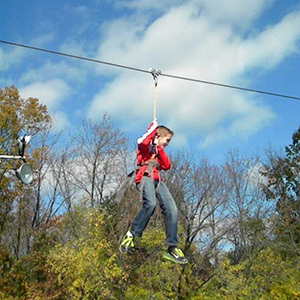 The Zip Line is a super fun activity that lets its rider fly through the sky. To ride the zip line, riders must be at least 3 ft tall and weigh less than 195 lbs. The zip line is 15 feet tall and 200 feet long. Each ride costs $4.00. 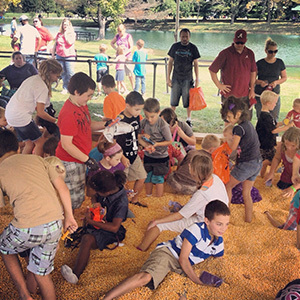 The Corn Crib is a fun (and FREE!) activity that lets kids 10 and UNDER get up close and personal with corn. Throwing of corn is not allowed. The Jumping Pillow is a fun activity where kids can jump. The cost is $2 per person per jump. All ages are welcomed to participate. Children are divided by height and the maximum weight limit is 225 lbs. 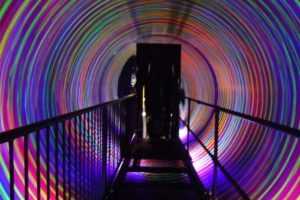 The Vortex Tunnel is the newest attraction at the Great Godfrey Maze. It is a mind-blowing attraction designed to test your senses! Be prepared for your balance to be effected during this adventure! The cost is $2 per person per entrance. All ages are welcome to participate but be aware of the effects the machine may have. 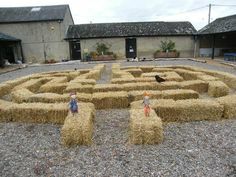 For the younger kids we are offering a mini hay bail maze! This maze will be 1 hay bail tall and an easy way for the little ones to enjoy their time at the maze. This will be located right next to the jumping pillow. This is a FREE attraction!